Peter Cleaver-1[1, 2] was born about 1667 in Germany. He died on 11 Nov 1727 in Bristol, Philadelphia County, Pennsylvania, USA. Catherine 'Gertrud' Schumacher daughter of Peter Phillip Schumacher and Sarah Hendricks was born about 1670 in Germany. She died in 1727 in Germantown, Philadelphia, Pennsylvania, USA. John Cleaver was born about 1705 in Bristol Township, Philadelphia, Pennsylvania, USA. He married Elizabeth Levering Taylor in 1729. He died in 1773 in Bristol Township, Philadelphia, Pennsylvania, USA. Chistina Cleaver was born in 1695 in Pennsylvania, USA. Peter Cleaver was born on 28 Oct 1697 in Pennsylvania, USA. Derrick Cleaver was born about 1702 in Pennsylvania, USA. Isaac Cleaver was born on 20 Feb 1713 in Pennsylvania, USA. Agnes Cleaver. She died on 12 Aug 1757 in Pennsylvania, USA. Eve Cleaver was born in Pennsylvania, USA. John Cleaver-2 (Peter-1) was born about 1705 in Bristol Township, Philadelphia, Pennsylvania, USA. He died in 1773 in Bristol Township, Philadelphia, Pennsylvania, USA. Elizabeth Levering Taylor daughter of William Levering. She was the widow of an Unknown Taylor. Peter Cleaver was born on 01 Mar 1732 in Philadelphia, Pennsylvania, USA. He married Sarah Bacon on 24 Jul 1755. He died on 14 May 1819 in Delaware, USA. Elizabeth Cleaver was born about 1730 in Pennsylvania, USA. Mary Cleaver was born before 1764 in Pennsylvania, USA. William Cleaver was born on 20 Mar 1765 in Pennsylvania, USA. Sarah Cleaver was born about 1737 in Pennsylvania, USA. John Cleaver was born about 1743 in Pennsylvania, USA. Peter Cleaver-3 (John-2, Peter-1) was born on 01 Mar 1732 in Philadelphia, Pennsylvania, USA. He died on 14 May 1819 in Delaware, USA. Sarah Bacon was born in Salem, New Jersey, USA. She died on 13 May 1820 in Delaware, USA. John Cleaver was born on 16 Jun 1767. Elizabeth Cleaver was born on 20 Apr 1757. Isaac Cleaver was born on 05 Sep 1760. William Cleaver was born on 20 Aug 1770. Rachel Cleaver was born on 14 May 1774. John Cleaver-4 (Peter-3, John-2, Peter-1) was born on 16 Jun 1767. Peter Cleaver was born on 08 Dec 1798 in New Castle, Delaware, USA. He married Ann Jefferis on 11 Jan 1826 in New Castle, Delaware, USA. He died on 21 Apr 1868 in Cecil County, Maryland, USA. Isaac Cleaver was born on 07 Jun 1794. Peter Cleaver-5 (John-4, Peter-3, John-2, Peter-1) was born on 08 Dec 1798 in New Castle, Delaware, USA. He died on 21 Apr 1868 in Cecil County, Maryland, USA. Ann Jefferis was born on 08 Jun 1808. She died on 22 Sep 1858 in Cecil County, Maryland, USA. George Cleaver was born in 1831 in New Castle, Delaware, USA. He died about 1880 in Chesapeake City, Cecil, Maryland, United States. George Cleaver-6 (Peter-5, John-4, Peter-3, John-2, Peter-1) was born in 1831 in New Castle, Delaware, USA. He died about 1880 in Chesapeake City, Cecil, Maryland, United States. Elizabeth Cazier was born about 1831. She died on 21 Jan 1859 in Delaware, USA. George Cleaver and Elizabeth Cazier were married on 19 Feb 1857 in Delaware, USA.They had no children. Sarah Gilmore was born in Sep 1843 in Maryland. She died in Chester, Delaware, Pennsylvania, USA. Mary V. Cleaver was born in 1863 in Maryland, USA. Kate Cleaver was born in 1861 in Maryland, USA. Elizabeth Cleaver was born in 1859 in Maryland, USA. Ella C. Cleaver was born in Aug 1869 in Maryland. She married Benjamin B. Bouchelle in 1888. She died on 18 Feb 1945 in Chester, Delaware, Pennsylvania, USA. Ella C. Cleaver-7 (George-6, Peter-5, John-4, Peter-3, John-2, Peter-1) was born in Aug 1869 in Maryland. She died on 18 Feb 1945 in Chester, Delaware, Pennsylvania, USA. Benjamin B. Bouchelle son of John W. Bouchelle and Hannah Lawrenson Byard[4, 5] was born in Sep 1856 in Maryland[4, 5]. Benjamin B. Bouchelle. He died on 22 Sep 1973 in Chester, Delaware, Pennsylvania, USA. Lottie Bouchelle was born in 1890. 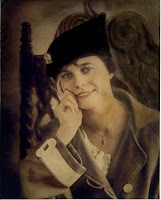 Maud Bouchelle was born in 1892. Bayard Bouchelle was born in 1894. Ella May Bouchelle was born on 22 Oct 1895 in Crum Lynne, Pennsylvania. She married Charles Roe Sweeny III on 27 Jun 1917 in Pennsylvania, USA. She died on 11 May 1978 in Sharon Hill, Pennsylvania. Florence Bouchelle was born in 1898. Some of the Descendants of Peter Cleaver, By William Jessup Cleaver. Elizabeth Hill's Cleaver family genealogy. On June 10, 1683, Francis Daniel Pastorius of Somerhausen, Germany, one of the Frankfort Company, sailed from London, reaching Philadelphia on August 20. He was the founder of a colony afterwards called Germantown. On June 10 (or 11), 1683, Govert Remke, Lenard Arets, Peter Klever (or Kleber), and Jacob Van Bebber, a baker, all Quakers of Crefeldt on the Rhine River who had purchased 1,000 acres of land each from William Penn, went to Rotterdam this day with others (33 in all), then to London, and sailed for America July 24, 1683, in the ship "Concord." They settled on the land they bought from Penn, and other people spoke of the place as "A German Town." Today Germantown is part of the City of Philadelphia--the six miles of land between Penn's village and this German settlement is now all solid city. During the year 1683, the Friends held their first meeting at the house of man by the name of Kunder in the German colony. The first Friends' Meeting House in Germantown was built in 1686. In 1685, Peter Schumacher, of a leading family of Kreisheim, came over and settled in the German colony. In 1691, the Germantown people were "naturalized" in the spelling of the names, so that Klever was changed to Clever, and afterwards became Cleaver; Schumacher became Shoemaker. Cleaver Family, undated typescript by Marie D. Allen In York County Historical Society - Cleaver File - and Montgomery County Historical Society.